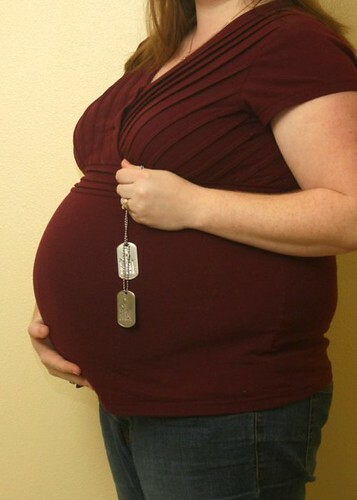 My husband deployed when I was 19 weeks pregnant. 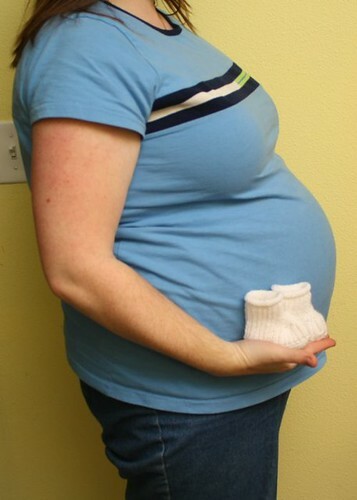 So, I decided to take a weekly photo of my belly to show him how I’d grown. 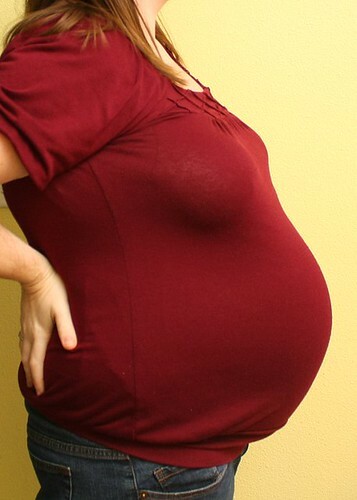 I have learned a thing or two about doing self-portraits, especially while pregnant. I learned how to use my broom to focus (I hold it out to about where I will be standing, focus on the end of it, then put the camera in manual focus so it won’t change). Then I learned how to use my remote shutter trigger because I hate running back and forth too much (and it will focus on me!). I learned more about bouncing my flash because I can only find time for photos after the kids are asleep at night. And I learned that I prefer photos of me in long sleeves (it seems I have more of a farmer’s tan than I thought). Now that my husband is home again, thankfully it was a short deployment, he can help with my photos by pushing the button once I get things set up. I think next week I will have him actually take some photos instead of just pushing a button from the tripod.